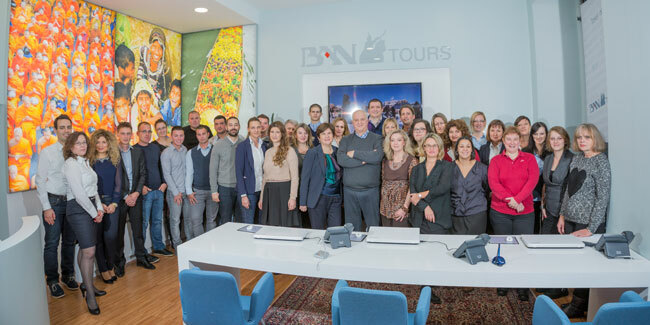 Ban Tours is a reliable partner and flexible tour operator and travel agency situated in centre of Zagreb, Croatian's capital, founded in 1994. Our team consists of 44 highly educated and multilingual professionals whose competences and skills will exceed your expectations, since we combine excellent knowledge with a profound understanding of our client's needs and preferences. We have exceeded very tough quality guidelines for our business and are constantly expanding and seeking for new ways to ensure unique and creative travel excitements for each and every traveller, where all our products are carefully designed and competitively priced to fit any given budget. Our most important asset is our passion for innovation. We strive to introduce the amazing diversity of Croatia’s natural landscapes, indigenous history and lavish cuisine, whilst maintaining our standards of excellence with a strong professional focus and cultural sensitivity. Our offer of memorable travel experiences with exclusive amenities, personal involvement and creative routes carefully designed for each preference, asserts us as true connoisseurs of exquisite taste and beauty. Discover Croatia as the new, prospective and exciting destination on the world’s map and let us lead you every step of the way!